If you are a Member, we will email you the report soon (or you can access it in our Members’ Drive). There is a head scratching data point that I have been referencing lately: corporations collectively spend $350 billion on training each year. To put that in perspective, corporations spend more annually on training than the Gross Domestic Product of 83% of the countries in the world. And what are the results? Before we get there, think about the last time you experienced company training. Was it effective? Were you engaged? Did you remember anything? Answers are probably overwhelmingly no. And you aren’t alone. Most executives think that their company learning and development is ineffective and many employees do not think they are effectively trained to do their job and/or find their training useless. Read the full Foreword by Jay Fraser, Global Head of VR for Training at HP here. The VR/AR Association Training Committee is working on this industry report that will feature companies specializing in VR/AR for Training solutions. This report will be published in Jan 2019 and promoted to the industry globally. The immersive technologies of virtual and augmented reality (VR and AR) are poised to disrupt training in all sectors including corporate, healthcare, manufacturing, and education to name a few. This is a bold statement but one supported by the psychology and brain science of learning. Traditional approaches to training rely heavily on text, or one-off expert demonstrations and predominantly engage one learning system in the brain. This is the cognitive skills learning system that recruits the prefrontal cortex and relies heavily on working memory and attention. Importantly, this system is not fully developed until one is in their mid 20s, begins to decline in middle age, and is negatively impacted by stress, pressure, and anxiety making this a fragile and suboptimal learning system. Immersive approaches, on the other hand, broadly engage multiple learning systems in the brain in synchrony including experiential, emotional, behavioral and cognitive systems that recruit many brain regions including occipital, temporal, parietal and frontal cortical regions. This broad-based synchronous engagement of brain-based learning systems leads to a powerful sense of “presence”, strong initial learning and enhanced long-term retention. Because many of these systems are less affected by age and stress, learning is more consistent across individuals and situations. As Einstein said, “Learning is an experience. Everything else is just information.” Experience is at the heart of immersive training, whereas information is at the heart of traditional training. Our society is in desperate need of high-quality training. Training approaches are ripe for disruption and immersive technologies meet this need. Our Training Committee held a very successful webinar on “The Impact and ROI of VR/AR in Training” on 16th January 2019. It proved a popular event, with over 300 people registering to watch four enlightening presentations on very different Virtual Reality and Augmented Reality training applications. During the lively question-and-answer session it became clear that the number of great questions was larger than the time available to answer them all! This post allows the presenters to respond the questions that couldn’t be answered during the webinar. David presented the “AppUccino” software, which delivers AR experiences for special-needs trainees to learn how to be a barista and work successfully in a commercial coffee shop. AppUccino directs trainees through the process of making americano, espresso, latte and cappuccino drinks. It generates AR overlays on the physical coffee-making equipment, including the industrial coffee machine itself, the separate coffee bean grinder and the separate water heater. A short video of part of the AppUccino AR experience can be seen here. Trainee performance measurements are taken as they prepare the drink using AppUccino and these measurements are uploaded to a cloud application, which analyzes them and presents training progress information to authorized training managers. An initial pilot with AppUccino indicated that trainees retained twice the amount of information and developed their skills 50% faster using AppUccino. You said it took ~9 months of definition and dev, how many people were working on your team in which roles in order to accomplish this? We used one media/content creator and one software developer. The work was carried out over the course of 9 months, but neither the content creation nor the software development role was full-time. How were the analyses done? Observation? Performance against criteria on task? The analyses were done based on (i) time taken for the trainee to perform certain tasks (ii) measurements of how accurately the trainee performed certain tasks and (iii) estimates of where the trainee’s attention and focus was at specific points in the procedure. How many users has Appuccino had? What has been the impact? In how many months after development did you achieve that impact? We’ve just completed an initial evaluation/pilot involving 15-20 trainees within a coffee shop managed by a partner training organization. At some point in February 2019 we intend to expand this to all barista trainees within that training organization. How long did it take to create AR content for training? The 3D models for the AR overlays were completed in approximately 1 week. The media is actually quite simple. Strong, simple content proved to be the best way to present the required information to special needs trainees who are affected by autism, Downs Syndrome or general learning difficulties. However we needed to spend much more time - about 4 months - on the instructional design and the directions, animations and transitions within the AR scenarios. How did you already go about gathering data on ROI prior to the development (and also launch) of the app? The data was gathered from a pilot study at one location. This was after the app was developed but before it was publicly released. Very exciting project! Curious why you selected that small, unique demographic to start? Unique requirements? Expect to scale up to other populations? We picked barista training as it’s an area where there is expected to be a lack of qualified employees in the future. In the UK, where I’m from, it is estimated that there is a shortfall of 40000 trained baristas. We selected special-needs barista trainees because there is a high degree of underemployment in that group and if we can create a good intuitive solution for special-needs trainees then it should scale up well to other groups and other types of catering or hospitality training applications. Are these analytics published somewhere? Not yet - the small pilot study that we’ve carried out gave us some indications on the training improvements and return on investment from AppUccino but we’re starting a larger evaluation in February 2019, when more trainees start to use the app at our partner training organization. We plan to publish the detailed outputs from this larger study. Jeff presented Portico’s Diversity and Inclusion VR Seminar, which provides learners the opportunity to practice and master their skills with inclusive language. This program was designed to complement traditional classroom learning by preparing learners with practical applications of the skills discussed during classroom sessions. With Portico’s software, learners speak directly to AI-powered digital avatars and engage in simulated conversations that put their skills to test. Learners also get real-time feedback on their performance through a virtual trainer, who uses AI to guide users towards better language choices. How did you factor in orientation to the VR experience to overcome novelty or unfamiliarity with the technology to get straight to the experience? We didn’t want to rely on the learner having any previous experience with VR. We give users time to look around and explore prior to beginning the scenario. This gives them a chance to understand the parameters and boundaries of the exercise. We also engage in some light chit-chat (“how’s the weather” sort of stuff) to let the learner know that they are expected to talk and that the AI is listening and will respond. Do you need a quiet room? A quiet room certainly helps. Current speech-to-text technology is very strong, but having a quiet place for the training is very helpful. It also helps the learner concentrate on the task at hand. Is Portico looking at including body language (proximity to client gestures, etc.)? Yes; we’ve done some preliminary work with this and have set some behaviors that change based on the learner’s position and/ or focal point during the training. How is the real time interaction happening? is it a sort of multiplayer training and a mentor is interacting with you? or the AI is giving you feedback? Everything within our scenarios is driven by AI, including the feedback. Our goal is to have these role playing experiences run without the need for actors or facilitators. Marlo presented a Mixed Reality Training System for aircraft and aircraft subsystem maintenance. Primarily an Augmented Reality / Mixed Reality solution, this high-fidelity, industrial-grade maintenance training system scales from a tabletop model design, to a full-sized aircraft, allowing the maintainer to train on the job, hands free, at the point of need, without any jitter or drift. The system utilizes object tracking (as opposed to stickers or markers) to ensure highly accurate lock on target, even as the user moves around the aircraft. It also integrates to any backend system to both retrieve and record/send information about the maintenance task. It supports collaborative tasks and remote assistance. How did you come up with your pricing for your offerings? Pricing is based on the specific requirement of the customer. AVATAR Partners can develop the application in its entirety, and/or the customer can purchase SimplifyXR to build/extend all or some of the functionality. Furthermore, because we use open source products such as Unity, the customer does not need to purchase SimplifyXR to extend any AVATAR Partners built XR solutions. Is SimplifyXR proprietary to you or is it 3rd party? SimplifyXR is is developed by AVATAR Partners using open source development tools, and can integrate to any backend system through APIs. It is licensed and sold through AVATAR Partners and its certified resellers. SimplifyXR is not required to extend any AVATAR Partner XR applications. Could you please clarify how 97% reduction was calculated? Does it mean that instead of 100 hours of training without glasses only 3 hours with glasses are required? You are correct. The training task was calculated based on the current training method for that particular wire failure, which involved an experienced maintainer gathering information from 3 different source materials (ETM, Wire Illuminator, and 2D schematics) to trace and identify the wire failure. The current training method is documented as taking 4 hours on average. The AR training experience is 7 minutes in duration, which is a 97% reduction in time to train. Marlo, you said you have offices around the country. I didn't hear if Portico has the same, but do either of your companies look to establish satellite offices in more remote locations? If so, what type of environments do you look for? Developed workforce, local colleges, etc? AVATAR Partners has regional offices in Huntington Beach CA, Arlington (Crystal City) VA, Virginia Beach VA, and Patuxent River MD, with personnel working in 8 different states within the USA. AVATAR has teaming partners with offices in Atlanta GA, Orlando FL, San DIego CA, Dayton OH, and Fort Worth, TX. We are expanding based on a variety of factors including the locations of teaming partners, certified resellers, and universities both within the USA and Allied Nations. Marlo, how did you measure those analytics? The performance metrics were derived from test results by AVATAR Partners based on the comparison of the current methodology versus the use of XR. These tests included accuracy, time to train, and time to complete the task. Cost savings were derived based on an assumed reduction of errors based on increased accuracy, and will vary depending on the application and cost of parts. We also discussed other studies such as the Boeing/Iowa State Study on wing assembly (Interservice/Industry Training, Simulation, and Education Conference (I/ITSEC) 2014). I’m not familiar with SimplifyXR -- can you describe what that is and whether that is proprietary to AVATAR? SimplifyXR is a software product developed by AVATAR Partners that allows non-programmers to develop their own Augmented Reality, Mixed Reality, and Virtual Reality experiences. It also speeds development time by tenfold by using a user-friendly interface. The product also evaluates the user’s desired XR application and notifies the user whether or not the application is well suited for XR, or if a different training media (e.g. video training) would be more effective. SimplifyXR is owned and licensed by AVATAR Partners, and is developed using open-source tools and industry standards, and also integrates to any backend system using APIs. The product is available directly through AVATAR Partners or certified resellers. Was there a problem using AR on an object as large as an aircraft? We overcame several challenges to make the solution commercially usable. Using the basic development tools and markers didn’t work - it caused significant drift, jitter and an inability to accurately track the object as the maintainer walked around the aircraft. AVATAR Partners was able to overcome all of these issues by developing algorithms to lock on target without any drift or jitter to the user. Our solution being hardware agnostic, we found the Microsoft Hololens and android tablet supported higher fidelity. Also, we used Mantis Vision 3D scanners to scan the aircraft, gaining an accurate 3D model so that we could use object tracking (instead of markers). This along with our programming algorithms provides the maintainer with absolute precision as they walk around the aircraft, regardless of the unit’s size (from 1:6 the model size, to full aircraft). Carlos presented XR platform for immersive training, operation and maintenance of industry plant services, eolic farms, which includes advanced reality technologies in 3d interactive environments (extended reality, 360º video and digital data integration), methodologies in a modular architecture (on/off line). Innvestion deploy an intelligent XR ecosystem with the specialized know-how to turn unstructured data into value-adding information, for specific subject when providing services such as preventive maintenance, security management or operational management. Simulation-based training, prefaced with traditional training methods on process fundamentals, is the most efficient and fastest way to train new employees and prepare them for their daily work providing huge added value and benefits. ONE digital consulting has been working for more than 20 years in the eLearning and Training arena, and with our selected partners network in Europe, Saudi, India, Africa and Latam. What hardware configurations are everyone on the panel currently using for their XR applications? For a full INNVESTION experience, the user only needs a mobile device and VR glasses that fit the device. The training centre will need an internet connection to download different modules. INNVESTION can be used in a single “low cost” VR environment based on Samsung Gear Mobile VR, through the most advanced VR Oculus Rift, HTC Vive configuration. The key issue of INNVESTION is data integration in one device. From reality to virtual reality or vice versa. INNVESTION can be used in a multi window spheric environment, for multiuser training environments. The acronym KPI sounds for Key Performance Indicator. This is a general business term referring to any metric used in understanding how an organization is doing. While the term can be tossed around the business world ostentatiously or irrelevantly, the fundamental rationale derives from the simple concept that if you don’t know how you did in the past, you don’t know if you have improved in the future. Because every business has its own economic niche, customer acquisition models, geographic localities, production methods, etc., each business must define for themselves what makes them successful. Therefore, the “key” in KPI, should be a metric key to your enterprise. These indicators are as varied as your imagination, but a number of familiar indicators include monthly recurring revenue (MRR), cost to acquire a customer (CAC) and the term used in this webinar’s title, Return on Investment (ROI). When you are looking to improve your ROI in your training strategy, you need to understand clearly the training savings metrics, saved commute hours, lifelong expense of your LMS solution, overall productivity and revenue increase, other factors specific to your business and training model. In conclusion, we can see selected companies transforming their business opportunities for the XR technology and adopt it regardless of cost and ‘clunkiness.’ Today we see leader enterprises utilizing XR for training, maintenance, engineering, and marketing purposes. These companies eventually pull everyone else in their direction as the industry caters to their operational needs and chases enterprise benefits. First off, thanks to the folks at the VR/AR Association for moving the industry needle and serving as the connecting file for companies across the ecosystem. Before you get cracking on this wonderful report, allow me to share some perspective on training and how VR/AR disrupts the norm. There is a head scratching data point that I have been referencing lately: corporations collectively spend $350 billion on training each year. To put that in perspective, corporations spend more annually on training than the Gross Domestic Product of 83% of the countries in the world. And what are the results? Before we get there, think about the last time you experienced company training. Was it effective? Were you engaged? Did you remember anything? Answers are probably overwhelmingly no. And you aren’t alone. Most executives think that their company learning and development is ineffective and many employees do not think they are effectively trained to do their job and/or find their training useless. In a word, practice. To be effectively trained, employees must be afforded the opportunity to practice what they learn. Ask any athlete, first responder, or military service member how often they practice. One of my favorite quotes is from Olympic Gold Medal Swimmer Rowdy Gaines: “I swam around the world for a race that lasted 49 seconds.” I came across this quote in a book analyzing the characteristics of top performers. Practice is not easy, both physically, but also, and more importantly for the purpose of this audience, financially. Think of the economic cost of delivering effective training to a workforce: the logistics, facilities, content, instructors, and employee “downtime”. It’s tough to scale good training but training is crucial to having productive employees. Add to the mix an aging workforce, a skills gap, fleeting employees and we are bordering on a training crisis! As an employee, you should want a safe, productive work environment and well-trained, capable teammates. Safety shouldn’t be overlooked. In the US alone, 14 people per day die at work in preventable accidents. As a member of society, you should want humans to stay sharp, adaptable, and relevant, particularly with the onset of artificial intelligence and the employment implications. A recent McKinsey Global Institute Report purported that over the next decade, as many as 375 million workers may need to switch occupations. As an executive, you need to balance two objectives: 1) taking care of employees and 2) hitting profit goals (not mutually exclusive). Better training results in more effective employees who can make better decisions and ultimately boost productivity. Innovate or die! Embrace immersive technologies. VR/AR provide a unique ability to enable deliberate practice on a mass scale. Because it’s a virtual rendered world, any scenario can be replicated and practiced over and over again with randomization injected to throw multiple scenarios at the trainee. Randomization is a key variable as it avoids “teaching to the test” and exposes trainees to an infinite number of scenarios. Think of a pilot. How many times do they get to experience an actual crisis? Hopefully, never. Yet, they are expected to be able to make split second decisions when placed in that situation. Who is using VR/AR for training? To quote the great Jim Collins, “the flywheel is in motion.” Companies across just about every industry are either testing, piloting, or deploying VR/AR for training; the momentum is real. Let’s focus on only a few. Retail: Walmart recently announced that it will deliver VR Training to all stores in the United States and train more than a million employees (thanks STRIVR for making this happen!). Aerospace: several major airlines are leveraging VR to familiarize its flight attendants with the aircraft and the proper protocol in getting underway. Energy: Siemens has started to implement VR to train personnel on the maintenance and operations of its large gas turbine engines within its Energy division. Technology: look no further than my own company, HP! Our learning and development organization is developing inclusion training in VR. Also, our print global services business is piloting a VR procedural trainer on one of our large printing presses. Military: at least one large country in the Middle East is deploying squad sized dismounted troop trainers and the US Army recently announced a $480M deal with Microsoft. Law enforcement: Netherlands police department is testing VR for crime scene investigation, domestic violence, and presentation skills. The list goes on and on. Another favorite quote of mine from my time as a Marine Corps officer: “we don’t rise the occasion; we sink to the level of our training” – Archilochus. HP and the many companies featured in this report are committed to enabling effective training (i.e. practice) on a mass scale. Our founders Bill and Dave believed in reinventing themselves and their company. To mark HP’s 80th anniversary this year, let’s work together to reinvent training. Enjoy the report and the creative and innovative means by which companies are doing just that. Thank you to our Webinar Sponsor! Our Training Committee will present the latest use cases and ROI. A New Year is a good time for reflection on past achievements and setting new goals for the incoming year. The VRARA Training Committee is pleased to highlight the various activities that we completed in 2018 and give a preview of what we hope to achieve in 2019. During 2018 we significantly increased the number of VRARA members contributing to the work of the Training Committee. We now have over 100 representatives making contributions via our conference calls and team collaboration tools. The Committee compiled and released a comprehensive white paper on best practices for VR/AR based training. We also released an extensive survey on how the training ecosystem is using and will use VR/AR devices, software and media to deliver enterprise training in a variety of market sectors. The outcomes and results of these two initiatives were presented to the wider VRARA community at the previous VR/AR Global Summit. Training Committee members also contributed to a training-specific panel session held as part of the same event. In 2018 our Committee also shared and showcased several training-related projects, use cases and applications developed by our member organisations through the VRARA news channel and blog posts. We also delivered several presentations in the Training track of the previous VRARA Online Symposium. Overall, we’re incredibly pleased with the achievements made by our Committee over the previous 12 months. We feel that we’ve made great progress in sharing and promoting best practices, new applications, experiences, projects and products related to VR/AR based training. In 2019 we have a series of goals that we want to realise. Our next VR/AR Training Webinar is coming up on 16th January 2019 and we are determined to make that our most successful online event yet. We are working on gathering together a library of VR/AR training app demos that can be showcased at VRARA-sponsored events. New and updated white papers on VR/AR training best practices and how to maximise return-on-investment from VR/AR training are in the pipeline. We also have an ongoing initiative with our colleagues in the Education Committee on areas of common interest. We look forward to 2019 and would encourage you to join the VRARA Training Committee to build a stronger and wider ecosystem that delivers higher-quality and more-engaging training through the power of VR and AR. We plan on growing and expanding the work we’ve done to help build resources, information, and the community for XR training applications. We are looking to host a series of Webinars, starting January 16th, to help introduce key concepts of XR training and to give companies the tools and information they need to begin successful projects in this field. We continue to build upon some great partnerships with training conferences, allowing us the opportunity to showcase XR training applications to an eager audience of corporate trainers, educators, and decision makers. The Training Committee is excited to begin a partnership with the Education Committee to identify areas of commonality and to co-author useful guides and white papers. Another goal for 2019 is to bring together a library of member demos. Our hope is that a centralized repository of demos will give the Association and its members the opportunity to choose industry or application-specific demos that can spark a much more targeted conversation about how XR training applies to any given field. Over the past years, we have understood the power and necessity of showing quality, relevant demos, and this collaboration will help members and the community at large in understanding the impact that XR can have on enterprise training. If you are interested in being featured in this report or sponsor it, email info@thevrara.com for details! 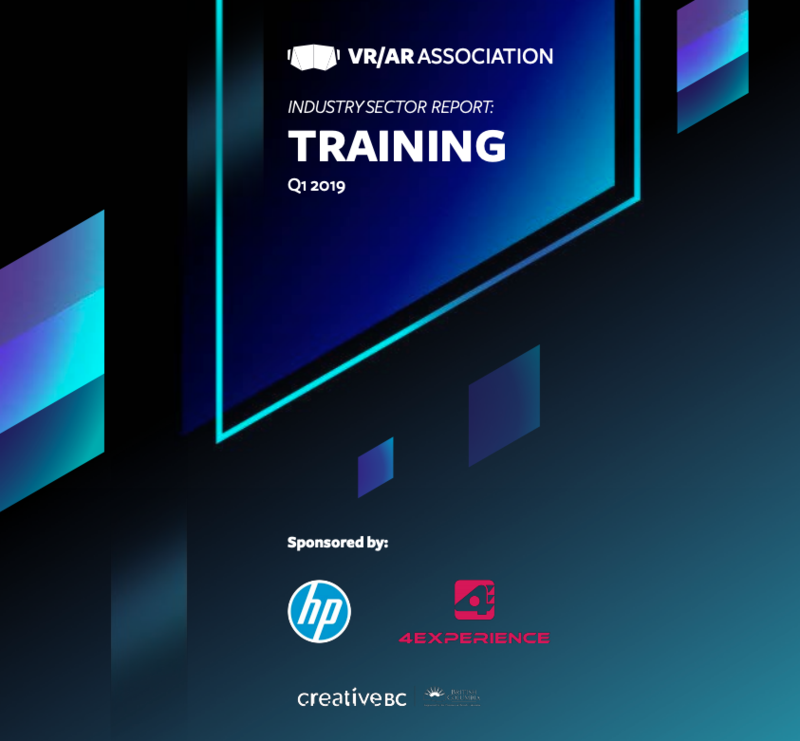 The VR/AR Association Training Committee is working on this industry report that will feature companies specializing in VR/AR for Training solutions. This report will be published in Q1 of 2019 and promoted to the industry globally. RSVP for our next webinar with a live Q&A! New technologies such as robotics and artificial intelligence are rapidly changing people's jobs and lives. Technology will likely change many of the existing jobs, requiring workers and companies to adjust. While maybe only one in seven jobs may be lost to automation, many others will change significantly. OECD suggests in their study (2018), that around 14% of all jobs across 32 countries analyzed have a high risk of automation, 32% of existing jobs may experiment significant changes to how they are carried out. INNVESTION is a VR/AR Platform for Industry Base Training Simulation. High Digitalization cost (paper, no automatization processes, decisión taking. Reducing delays & mistakes. Using collaborative VR/AR and digital documentation, we can integrate “all in one”. Minimizing time to action in decisión taking providing technicians the complete background on an asset, detailing all historical data and repairs to quickly perform the task in hand. A fortune 100 company has asked SkillReal to provide a Virtual Reality experience to certify and drive thousands of employees around the world to safe conduct in a critical electrical work. Four detailed scenarios: Introduction to the Virtual Reality environment; Standard Electrical Safety procedure scenario; Advanced “what-if” scenario; Infrared scanning scenario. Effective user feedback: real-time feedback to trainees during the mission, and detailed personalized feedback with key critical error highlighting at the end of each scenario. Integration: with client pre-test and post-test activities – to analyze and measure the impact of the practice scenarios. Valuable Analytics: Detailed user performance tracking and analytics, recording all user actions, time taken to perform task and mission, interactions with objects and more. Together with the client, we were able to create an unparalleled authentic user experience in Virtual Reality, with a strong sense of realism – changing a standard regulatory training requirement into a game-changing and powerful practice. Based on SkillReal’s powerful Virtual Reality platform, the project was delivered in a very quick turn-around, with two first content packages being released with just 10 weeks, and two more released 10 weeks later. The project leveraged SkillReal’s multi-disciplinary capabilities of Instructional Design, UX and UI in Virtual Reality expertise, a world-class 3D studio, and a creative and dedicated team of developers, QA and project management people. A major hotel brand didn’t have the bandwidth to provide consistent training for new employees in many customer-focused areas. They wanted to ensure that new employees interacted with guests in way that not only followed correct procedure but also adhered to brand standards. They wanted to provide more interactivity and practice than a mere shadowing experience for new hires, but could not rely on having trainers or senior staff available. Portico recreated select hotel experiences inside Virtual Reality. Learners spoke directly to digital avatars of hotel guests in order to practice and master their conversational skills. These virtual guests were powered by Portico’s TrueTalk AI, allowing them to respond with natural conversation, creating a truly immersive and realistic experience that was immediately transferrable to the workplace. Furthermore, a Virtual Trainer (also powered by AI) listened in on the conversation, providing immediate feedback if the learner deviated from established procedures or brand messaging. The training was considered a success by both the hotel and its employees. Employees were able to practice their skills without the need for any supervision. The hotel noticed a decrease in training time along with an increase of confidence for new hires. As a result, new hires were able to enter the shift rotation faster and did so with fewer hiccups along the way. One other added benefit was the general level of excitement from the new hires. They exhibited a genuine enthusiasm towards trying the training; the training itself became a fun “water cooler” topic for people to discuss. Some of the existing staff insisted on trying it to see what they were missing out on! Aircraft Readiness is a number one priority for both military and commercial aviation. Maintenance task troubleshooting and execution time and error rates are significant aircraft readiness degraders. An additional stressor occurs when an organization must extend the life of its equipment; in some cases, 10-20 years beyond an aircraft’s expected life. This puts unanticipated strain on systems and structures, resulting in excessive down time for repairs. In some cases, 40%-50% of the inventory of a platform are unusable at any point in time. Maintenance errors are a leading cause of inventory down time. For example, a mistake made on a fuel cell replacement can result in an aircraft being down for 6 months or longer, driving enormous cost, and risk to global safety. Even the best training tools can reduce errors down to 75%, but today’s economic and global situation require something better. Aerospace needs a training solution that can be used on the job, and produce zero errors. AVATAR Partners was approached by a community of maintainers to address a common issue in one fixed wing aircraft, which was a Wiring issue (specifically, the Left Main Landing Gear Planing Link Proximity Switch Fail). To address the issue, AVATAR Partners used a standard Criticality, Difficulty, Frequency (CDF) analysis model to identify the optimal training solution; clearly, an advanced solution that would allow the maintainer to get assistance without leaving the job itself, was critical. AVATAR researched all training technologies available, and designed a Mixed Reality solution, which combines both Augmented Reality and Virtual Reality. At the time, most Augmented Reality solutions relied on the use of markers or codes to identify the object. AVATAR joined the Vuforia VIP program and developed the Augmented Reality Maintenance Aid (ARMA), and worked with the vendor to develop an advanced object tracking system that would lock on target based on the shape of the object itself (using CAD data). Furthermore, most AR solutions had the issue of drift or jitter when dealing with a large object, such as an aircraft. The maintainer must be able to walk around the aircraft without any shift or jitter; if not, the maintainer loses all confidence in the solution. AVATAR Partners was able to eliminate shift and jitter entirely, regardless of the object size. ARMA offers remote assistance which allows remote Subject Matter Experts to view, guide and record users remotely through steps and processes. The AVATAR Team has developed other MR solutions that reduce cost and errors throughout the manufacturing process. Another example is the assembly of large, complex ships, where our team developed a Mixed Reality solution that Quality Assurance Time on Task by 90% while Eliminating Errors to Zero. Our ever-present objective, Simplifying Complex Systems™, is a success story that keeps growing. headsets into smart assistants. These assistants deliver training and guidance using VR/AR technologies, blended with artificial intelligence (AI). This combination provides "personal immersive learning" - personalised immersive content and continuous background assessment of learning progress. VRARA Webinars host industry thought-leaders on various topics. During these live webinars (webcasts/panels/symposiums) we have a live Q&A with the attendees. These Webinars are attended live by 100-800 people, and 1000s watch the recordings. Jeff Meador is the Founder of Portico.ai and Co-Chair of the VRARA Training Committee. He joins VRARA's Storyteller Davar Ardalan to talk about the impact VR and AR are making on enterprise training. Meador says whether used as part of new or existing training programs, the inclusion of immersive technology is the new gold standard of training excellence. VR and AR give learners the opportunity to learn, try, experiment, and succeed on their own without the need for extensive setup, cost, or physical risk. The VRARA Training Committee recently conducted an industry survey to get a sense of major use cases for VR, AR and MR. What industries are benefiting most today and what are some of the use cases? The benefits we’re seeing are more use-case focused than industry focused, although the mechanical, medical, and safety/ security industries have all seen fantastic applications of this technology. Some of the strongest early successes we’re seeing from VR training come from two general use cases: observational training and mechanical training. For observational training, VR is great for letting people assess a situation and environment and identify potential problems or hazards. This could include identifying safety concerns at a construction site or noticing areas of a restaurant that need attention before the doors open for the day. Mechanical training, on the other hand, involves some sort of precision manual operation. This could be assembling a motor, performing knee surgery, or diagnosing problems with an electrical grid. We’re starting to see the industry expand from here. Companies are starting to use immersive training for more leadership and management skills, sales training, and reinforcing corporate culture. VR tends to prepare people to do a task. People learn how to operate equipment, assemble parts, and assess situations. They practice in VR so that when they encounter the situation on the job, they’re prepared. AR tends to assist people in doing a task, so it’s more of a just-in-time training model. Companies are using AR to pull up schematics or instructions during part assembly, provide directions around a complicated warehouse, or to allow a remote instructor or expert to see what they’re seeing and provide guidance. Have you seen any research from the employee vantage point? VR training might be more efficient in the long-run but is there a danger of employees missing out on company culture? The way VR training is being used right now still gives employees a lot of opportunity to learn about company culture. The introduction of VR into a training program doesn’t eliminate some of the classroom-based training that happens, so great discussions about company culture, brand, and values are still happening in organizations with a strong VR training program. VR can be instrumental in reinforcing certain aspects of corporate culture. For example, some companies have made 360 videos to give employees a better understanding of their customers and what makes their product special. Some other research points that we’ve seen are very compelling. Employees are a lot more engaged with the learning when presented in VR and AR. They find the content to be very relevant to their skill development and are seeing a quicker transfer of skills. More importantly, retention rates skyrocket during interactive VR sessions, with some studies showing as much as a 400% improvement. At Portico, we’ve been working with neural scientists on the way the adult brain learns. We have a white paper out that details a lot of the science behind how the brain responds to VR differently than traditional classroom or computer-based training. Tell us more about your company Portico.ai and focus on VR for training. We’re focused on developing tools for soft-skills and leadership training inside VR. Our cornerstone product is our TrueTalk AI, which is a cloud-based service that lets learners talk directly to digital avatars in Virtual Reality. We’re seeing a lot of use for this technology across the board. Role play is part of many trainings, ranging from customer service to leadership and management. This has always been an effective form of learning, but one that’s inconsistently applied. Not all learners get to participate, and the situations and feedback vary greatly from experience to experience. We’ve made it possible to deliver consistent role play scenarios with effective feedback on performance. We’re developing some of these experiences in-house and also partnering with a variety of companies that are integrating our speech technology into their products and offerings. How are you integrating artificial intelligence as part of your VR training experiences? Artificial Intelligence is central to everything we do. We come at it from two main points. First, we have our AI that moves the conversation forward. So when the learner speaks, the digital avatar responds quickly and with relevant information. The avatars respond not only to what was said but how it was said. We’re diving into some of the nuance of language and how that can relate to business processes as well as organizational brands and values. Which leads me to the second layer of AI: our virtual trainer. During the conversation, a virtual trainer is constantly listening. If the virtual trainer recognizes an area where the learner deviates from process, best practices, or brand messaging, the virtual trainer can pause the scenario and offer immediate feedback on ways to improve the conversation. Davar Ardalan is the founder and storyteller in chief of IVOW, an AI-powered storytelling agency and Stanford Affiliate. Ardalan co-chairs the Stories and Audiences Committee of the VR/AR Association, and has been recognized with a 2017 NASA Team Leadership award for Space Apps, a Gracie Award from the American Women in Radio and Television and a shout-out in the popular comic strip Zippy. The VRARA Training Committee are conducting an initial industry survey to capture the industrial landscape for one of the major use cases for Virtual, Augmented and Mixed Reality – namely training and development of employees. The survey is still open for respondents, so if you haven’t taken the survey yet then please do so by following this link. It’ll only take 5-10 minutes of your time and provide valuable insight into how VR, AR and MR is becoming an integral part of industry-based training. A number of interesting trends are emerging from the survey responses received to date. In this article we’ll focus on two of the survey questions that demonstrate these early trends within the respondent’s answers. Clearly the early survey respondents feel that manual skills and mechanical/industrial operations will especially benefit from VR/AR/MR based training, with the realistic simulation capability of VR and the interactive real-time guidance provided by AR/MR being particularly relevant. However, although process-driven activities scored particularly highly on this question, creative activities such as art and precision crafts also feature strongly, indicating that VR/AR/MR based training does have a role in activities that are not necessarily driven by process and compliance. Understanding where the perceived weaknesses or deficiencies lie in current forms of VR/AR/MR training is key to addressing those issues in future versions of the training technologies. Clearly the early survey respondents feel that cost is still the major barrier to introducing or increasing the use of VR/AR/MR within training programs. Reduction in headset costs and innovative business models around content access should help to address this. Availability of the technology has also been highlighted as an obvious weakness, suggesting that hardware providers should consider future manufacturing and distribution processes and software providers should consider subscription and distribution models beyond the “app store” format. Resistance to chance is also highlighted as an issue, suggesting that the efforts of the VRARA Training Committee in evangelizing and promoting VR/AR/MR training are still well-placed! The survey will remain open for a few weeks so, if you haven’t had the opportunity to capture your thoughts and opinions on VR/AR/MR training then please follow this link. A fuller article or whitepaper on the complete set of survey results is planned, so keep a lookout for that in the near future! Email info@thevrara.com with any questions. Pokemon Go may have brought it mainstream, but augmented reality (AR) is more than just a tool to get kids off the sofa. The technology is finding its way into a number of uses for business, including learning and development. What exactly is AR and how are companies using it? It's essentially a mix of virtual reality and the real world: your actual location with images or information superimposed into the picture. AR can overlay maps, steps, data and more. It provides instructions, answers questions and, for example, can compare what a worker is doing to specifications for a task, offering input to perform the work correctly. The technology is already in use at plenty of worksites. Using Google Glass AR headsets, GE Aviation connects mechanics to specifications: as they use their digital torque wrench, the system tells them immediately when they have the exact fit to seal hoses and fluid lines. In healthcare, surgeons and nurses may wear glasses that display a patient’s vital signs in real time as treatment is being administered. In construction, AR can map out plans against the workspace, allowing workers to see what they should be doing in 3D, rather than having to check against blueprints. Honeywell says it's using the world’s "first and only self-contained holographic computer." A headset that uses Microsoft’s Hololens provides a mixed reality view that gives learners a chance to explore in a combination of the real world and virtual space. "These active learning methods use sight, sound and touch, codifying learning," Vincent Higgins, director of technology and innovation, Honeywell Connected Plant, told HR Dive in an email. The tech has certainly caught users' attention. "AR has started out primarily in new customer-facing applications to bring a 'wow' factor to websites or mobile apps," said Christa Manning, vice president of solution provider research for Bersin, Deloitte Consulting LLP, in an email. It's been used to help shoppers imagine how furniture might look in a home or to show airline frequent travelers how to navigate airport terminals, she told HR Dive. But the tech has moved to address the needs of business. Early adopters telecom, for example, are using AR to support workers in the field who are servicing remote equipment. "With lots of data being generated by the 'Internet of Things' (IoT) and devices everywhere throwing off information," Manning said. "AR can be critical to help human beings process all of this information in real time and in context." There are three main "horizontal applications of AR in B2B at the moment," Tuong Nguyen, principal research analyst at Gartner, told HR Dive in an email: "task itemization, collaboration, and see-what-I-see video." Task itemization delineates the steps needed to perform; collaboration gives employees resources and data needed while SWIS allows others to participate in the task from a remote location. For business considering adopting AR, the challenge may be more than just identifying a need. Preparing employees and learners to use the technology can be difficult. "As they bring new AR approaches," said Manning, "learning professionals should consider that this can cause cognitive overload for many users. Having to learn not only a new set of information but also a new tool for conveying the information and adjusting their own ways of working and learning at the same time." She recommends learning professionals coordinate very closely with IT to make sure they have access to the right hardware, as well as Wi-Fi that can keep up with timely processing of all the data. "Like any new technology or change in the business," she said, 'learning professionals really have to focus on supporting the workers empathetically through the change and market the benefits for the worker as well as the business." Buzzell suggests that businesses have a solid strategy before implementing new tech: “You must build a solid 'customer experience' for your team, create a framework that makes sense for your organization, and make the transition as smooth as possible," he said. There are resources available, such as professional organizations like the VR/AR Association. He also noted that many device manufacturers or solution providers offer "adoption dollars" that can help companies start the transition to immersive tech. If it’s deployed properly, adoption may not be solely about teaching staff how to do something differently, Nguyen said; "it’s giving them a tool that makes their job easier/faster/safer.” If an employee has been trying to drive a nail with a shoe and you hand them a hammer, they really don’t have to “learn” how to use it, he said; you’ve simply provided a tool that makes them more effective. This 20+ pages white paper was written by our Training Committee and industry experts. The VR and AR landscape is fast evolving and provides benefits across many industry verticals. One of the most widely hailed applications of VR and AR is in Training/ Learning & Development because of the seemingly boundless array of possibilities and benefits compared to traditional training methods. This document outlines and details a set of best practices, aiming to capture the rapidly-evolving field of VR and AR and its use in training and skills development. It is intended for novices to VR and AR technologies which are knowledgeable in current training methodologies and experienced in the general training market. While this document provides an extensive discussion of current best practices and usages, VR and AR continue to grow organically and rapidly. We encourage you to experiment and push the boundaries of what is currently possible with this technology. The VRARA Training Committee will ensure this document is current through regular updates every six months. When people hear about virtual reality (VR), images of a person wearing a headset and holding a gaming console usually come to mind. However, for the education sector, VR is an opportunity to finally connect with both learners and teachers in a novel and meaningful way. For example, EON Reality collaborated with Oral Roberts University to create the Global Learning Center, a dedicated facility for augmented and virtual learning. As the global executive director of the global VR/AR Association, I've watched our 3,900-plus registered companies and our Education Committee and Training Committee work on best practices, guidelines and standards to accelerate the VR/AR industry for all, one committee in particular being devoted to education and training. Today, VR can enable experiential learning by simulating real-world environments. Students can test their skills, record their work and interact with experts all within VR. Students have responded overwhelmingly positively to active learner engagement. A recent study shows that "93 percent of teachers say their students would be excited to use virtual reality and 83 percent say that virtual reality might help improve learning outcomes." This points to a universal trend as these students will soon enter universities and then the workforce, where job training scenarios will become the new classroom. For visual learners and individuals with learning challenges, VR provides an alternative medium to meet their needs. Likewise, educators see increased engagement levels and improved test scores across the board with VR education programs. Hands-on learning techniques like VR education directly contribute to increased cognitive memory. The benefits of incorporating VR/AR tech into educational experiences include better, more immediate engagement and the opportunity for learners to "feel" the experiences and better remember and express what they learned. A student can experience what was not possible to experience before and become better prepared for when such experiences occur in the real world. The basic functionality of VR in education is to bring learning to life via a virtual environment. The more a learner is able to participate in life-like engagement, the easier it is to personally feel a connection to the subject material, making it easier for application and retention of the subject matter. The most popular trends in VR learning include enterprise and education. In enterprise, Walmart is using VR to help train its employees on topics like management and customer service. Soon, all 200 of the company's U.S. training centers will use VR instruction to educate the estimated 150,000 employees going through the program annually. In education, there's Star Chart, an iOS and Android app with over 20 million users that brings the universe a little closer. Users learn about astronomy by pointing their phones to the sky at night and utilize other features to learn about planets and space discovery. 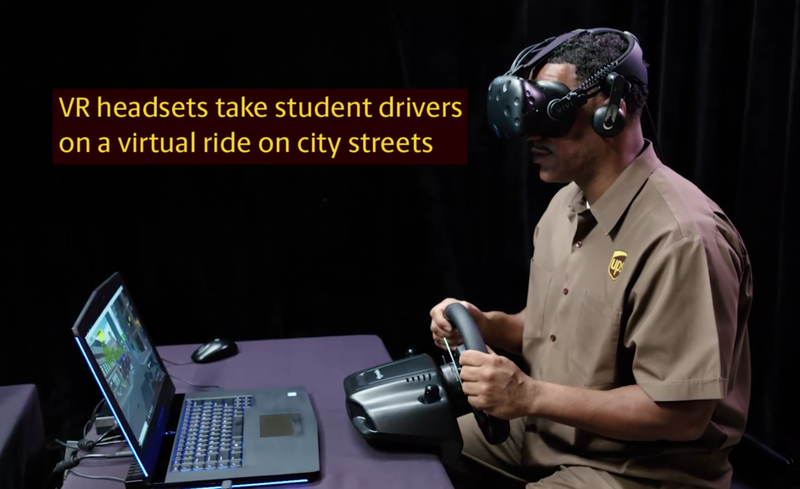 It’s important to pay attention to this trend and adopt VR solutions in your organization to educate employees in new and better ways and teach students with more engaging and effective tools. However, like many new technologies before it, awareness is the first barrier to entry followed by cost and content. Many are still not aware of VR training solutions that are proving to be effective. At The VR/AR Association we are doing our part to promote the industry and help organizations locate the best VR solutions for their use case. Meanwhile, quality VR headsets come at around $399 (already down from $599 ore more just a few months ago). Cost is steadily declining our research points to $199 being the sweet spot price point for “mass adoption.” Finally, better content — specific for each use case — is needed and is being created for enterprise use cases and educational curriculums. In 2018 we will see the costs decrease, better content emerge and more awareness spread, which will propel the VR/AR education market to high growth. Ultimately, VR in education will revolutionize not only how people learn but how they interact with real-world applications of what they have been taught. Imagine medical students performing an operation or geography students really seeing where and what Kathmandu is. The world just opens up to a rich abundance of possibilities.